I love summer reading (and holiday reading, but that's a whole 'nother story). The beachier and easier the read, the better! Here's a few of my favourites from this summer! I was a huge Judy Blume fan growing up and I thought she was done writing. I love her very frank, relatable style of writing and this book did not disappoint. It's about a little town in New Jersey, three very unforeseen, simultaneous crashes that occurred there and how it affects the protagonist and her family. Once again, I loved Judy's attention to detail and wonderful emotional understanding. 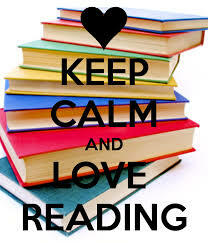 And I love when a book is long and captivating from beginning to end…. makes me feel like I get my money's worth. Elin is my other love and in a way I feel my summer truly starts with one of her reads each and every year. And I reread quite a few of her books each summer as well. Her style is very similar to Judy, the story always presented from different character's viewpoints and it's always based in Nantucket where she resides… and now a place that's on my bucket list. The Rumor was another good one, based on little and big, true and untrue rumours and its impact on the characters… not my absolute favourite but I'd still re-read it and I'm glad I bought it. 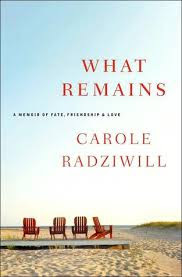 This book probably impacted me the most as it's based on the real life of Carole Radziwill and her vivid and haunting memoir of her life and love story with her husband, the Late Anthony Radziwill (JFK Jr's closest cousin). She was also Caroline Bessett Kennedy's best friend. Her story is one of strength, grace and determination in the face of the death and despair. So well written. I couldn't fall asleep the night I read it… definitely not my typical beachy read but probably my favourite all summer. This book was another favourite of mine. 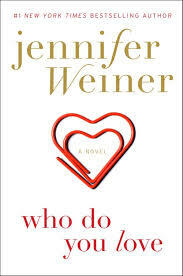 Jennifer Weiner has been a little hit or miss for me recently but this is my favourite book of hers about the most unlikely, on again off again, soul-mate sort of love story. LOVED IT. What about you? What books did you love this summer? Any recos? Oh thanks! 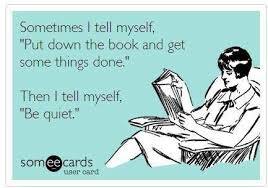 I am almost done with the book I am reading and will need a new one! Love this! 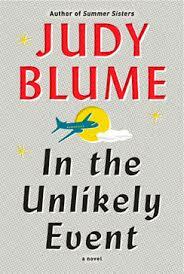 I LOVED the Jennifer Weiner book too, and have the Judy Blume book on my Kindle waiting for me ... glad you liked it!! I absolutely love to read but I got sidetracked once Mila was born a little over 2 years ago and I've been slacking. I started reading again this summer and I'm loving Liane Moriarty. The Husband's Secret was fantastic! I need to check out Elin Hilderbrand and I really want to read Carole's book. I'm a fan of hers from RHONY but her book sounds interesting to me regardless. Glad to hear you enjoyed it! Hey, thanks for this post today, very timely. I am trying to decide what books to bring on our trip. I want something light but still somewhat intelligent. I think I'll check out Carole's book. I was a big fan of the Kennedys! BOOKS!!! My best friends lol. 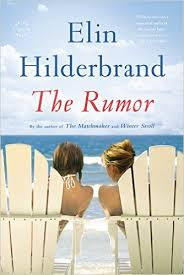 I read my first Hildebrand book last month and loved the Nantucket setting. I also enjoyed Blume's adult novel Summer Sisters, it was a completely different side of Bloom and I enjoyed it a lot.